With Thanksgiving planning already in the works, we know that the holidays are just around the corner. Buying the perfect gift for everyone on your list can be daunting, and researching the best ones for each age, personality, or interest can be extremely time-consuming. How can you find something that is meaningful yet exciting, fun yet educational, and timely yet retain its value in the long term? Our Cyber Monday Sale has already begun! Get MyHeritage DNA at our lowest price of the year! Here’s how a MyHeritage DNA kit can meet every requirement on your checklist and is the perfect gift for everyone on your list. It is difficult to argue that there is anything more meaningful in life than family. MyHeritage DNA helps you discover new relatives you’ve never met before, by matching your DNA to the DNA of others. Our huge global database enables you to find more DNA Matches worldwide than most other DNA tests. Bond over shared ancestry and build your family tree together using cutting-edge technological features. Who knows, maybe this time next year they’ll be joining you at the family holiday party! Unlike many gifts targeted to specific demographics, the gift of self-discovery fascinates everyone, no matter their gender or stage of life. After taking a MyHeritage DNA test, you’ll get an Ethnicity Estimate based on the DNA that you’ve inherited from your ancestors. This is a marvelous opportunity to learn more about what makes you unique by exploring the ethnicities and cultures represented in your DNA. The Ethnicity Estimate tells you the geographic regions your ancestors originated from, from among our 42 supported ethnicities. You’ll get insights into your ancestral roots in an animated and engaging format that is fun for all ages to watch and share. Holiday gift trends may come and go, but MyHeritage DNA is a gift that offers lifetime value. Even after you reveal your initial Ethnicity Estimate and find relatives through our DNA Matching technology, as the MyHeritage DNA global database expands, you will get updates on new DNA Matches. In fact, the more family members that test with MyHeritage DNA, the more opportunities you’ll have to find additional relatives. You may even be able to discover the DNA of your common ancestor through our advanced Chromosome Browser! Furthermore, our robust genealogical platform is seamlessly integrated with your DNA results — offering a lifetime of exciting new family history discoveries and access to our growing database of 9.3 billion historical records. MyHeritage DNA is now being offered at a special holiday price — no need to wait for any additional sale. This low price won’t last long, so make sure to get a head start on your holiday shopping and order now. With MyHeritage DNA, you’ll be giving your loved ones a truly special gift that they’ll cherish forever. Purchase your kits today, to ensure delivery in time for the holidays! 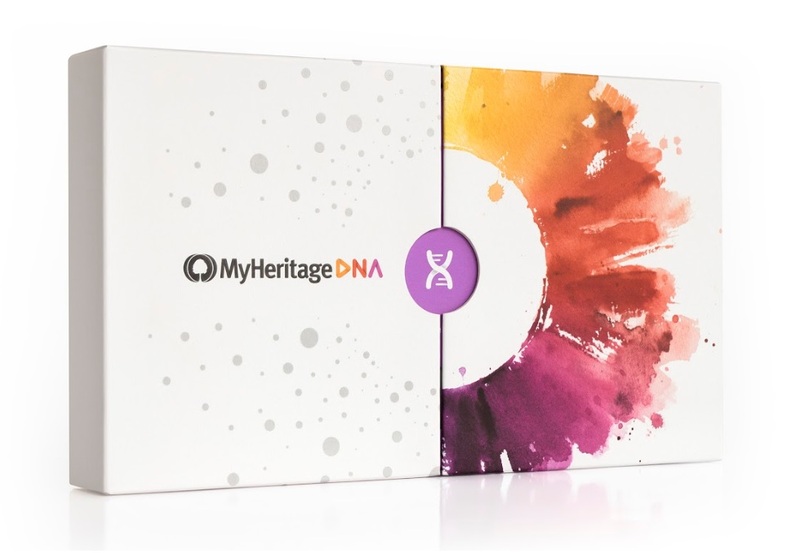 Get your MyHeritage DNA kits now during our Cyber Monday Sale! Don’t miss out! Please don’t lower the tone of MH by cheap marketing tricks. Thank you for this great opportunity can’t wait to find out My Heritage.